It's a Mom Thing Reviews & More! : Redbubble Giveaway hosted by Growing Up Madison! Redbubble Giveaway hosted by Growing Up Madison! There are few things that I love more than decorating my home! My favorite types of decorating pieces are unique and match my personality. I recently learned about Redbubble from our friends at Growing Up Madison and it is absolutely the site to shop! The items on their website are uniquely designed by artists all over the world. Their site offers way more than only decorating pieces and home items though! When searching through their website you can find mugs, t-shirts, tote bags, and more! 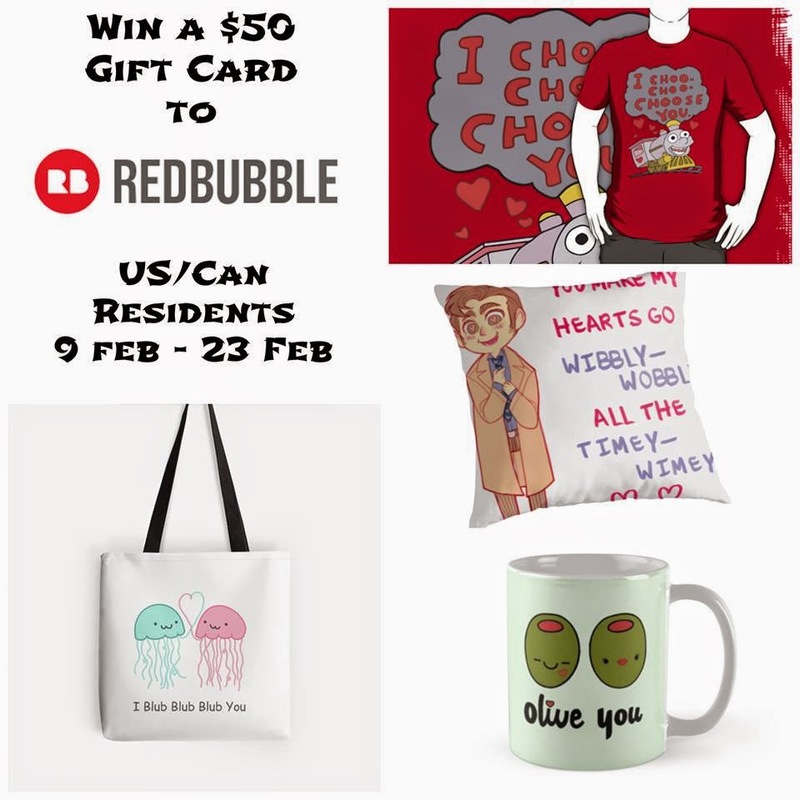 With Valentine's Day right quickly approaching Redbubble is the perfect place to shop! You can absolutely find items that will be perfect for your loved ones. Redbubble is a great place to shop for more than only Valentine's Day though! Their website is perfect for any holiday or birthday gifts and for when you just feel like spoiling yourself! Do you love something on the Redbubble website? Get your wishlist ready because you can enter to win a $50 Gift Card until February 23rd! This giveaway is open to US and Canadian readers!